There have been more athletic catches this baseball season than Anthony Rizzo’s fifth-inning snag against the Brewers tonight, but none of them have been anywhere near as cool. 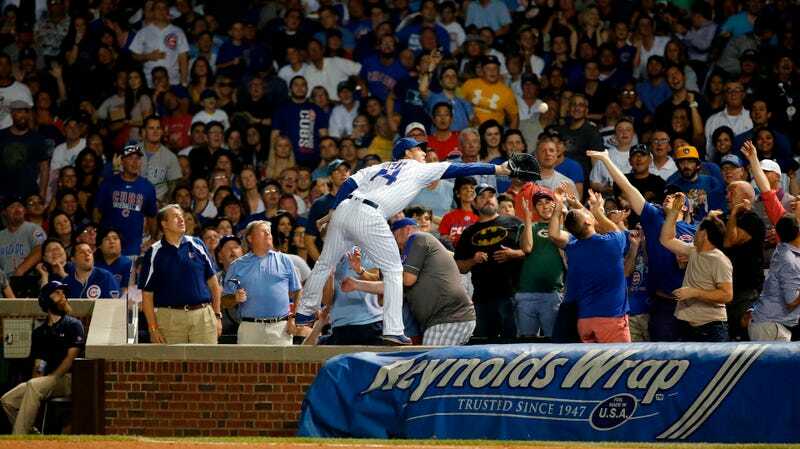 This catch comes almost exactly a year after Rizzo climbed onto a different object to make a highlight catch. Which 2013 NFL Draft Prospect Supposedly Tweeted So Much That A Team Lectured Him In A Meeting?